This weeks "I want what she has!" goes to Karen Javens. This ring is beautiful and look amazing on such tan skin! So obviously I will not be able to run out and buy this, but since she is my mom, I might be able to borrow it! ;) Between the tan and the ring I want to go on a vacation even more! Thanks a lot!!! lol Great find mom! 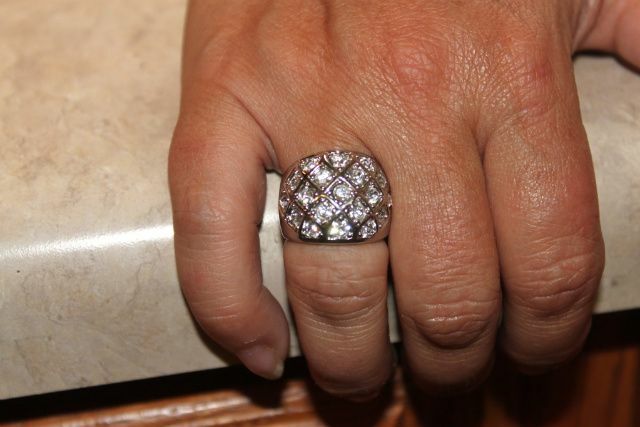 Pretty ring!!! And I am with you on wanting a vacation!!! I would love to go somewhere now!!! Not going to happen though!!! Oh well, I can dream, right? Love that ring! I can't believe the price, it looks way more expensive! Oh that's nice. I have a thing for rings and sparkling jewelry.